Create a Spa Experience In The Privacy Of Your Home With Bathorium's Luxury Bath Products. This is a sponsored post and it contains affiliate links. 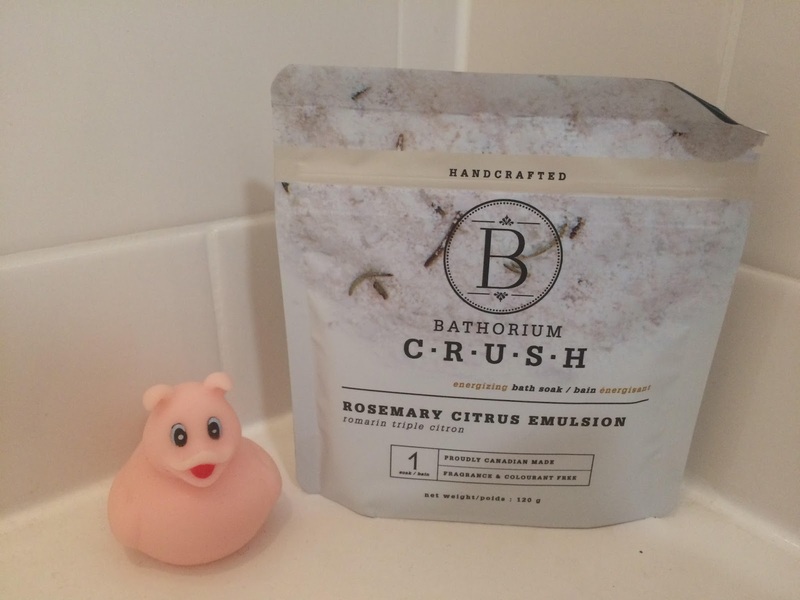 I am an affiliate of Bathorium and I asked the company to send me an item to review. If you purchase using the links provided, I may be compensated a small percent, never at any cost to you. I only link to products I use and love. Are you a mom? Are you a blogger? If you are either or both of those two things, chances are, you need a spa day, and you need one pretty badly. If you are like me, you probably don't have the time or energy for spa days though. After all, as a mom, we are always "on call". Today I want to talk to you about a company that will help you recreate the spa experience in the privacy of your own home, for way less than a trip to the spa would cost. The company I want to talk to you about is called Bathorium . If you'd like to see how this company can make you feel like you just got out of a spa, and how to get your first Bathorium C.R.U.S.H bath soak package for FREE, please keep reading. 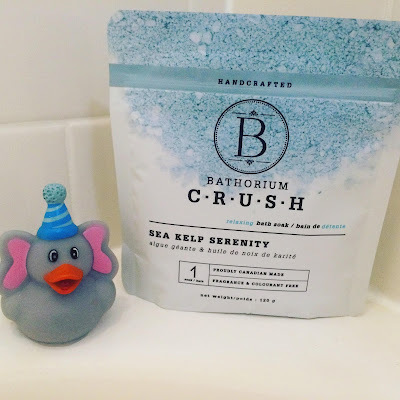 Bathorium provides luxury bath bombs and bath soaks. They were named Canada's Top bath bomb producer and bath products company because of their super high quality ingredients. They offer a wide range of amazing smelling bath products filled with great ingredients at very affordable prices. 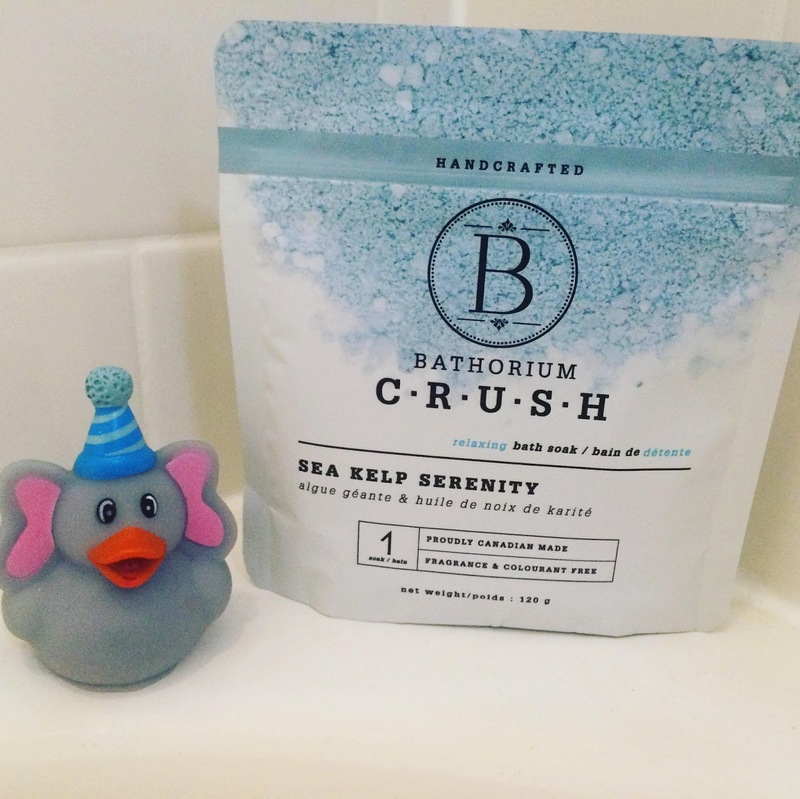 Bathorium is starting a movement called "Bring The Bath Back", also seen on social media as #bringthebathback, because they have realized that bathtub soaks are incredibly beneficial for humans. From what I have seen, some of the benefits of soaking in a warm tub include reduction of stress and relaxation, repair to tired muscles, and a refocusing and recharging of the mind. 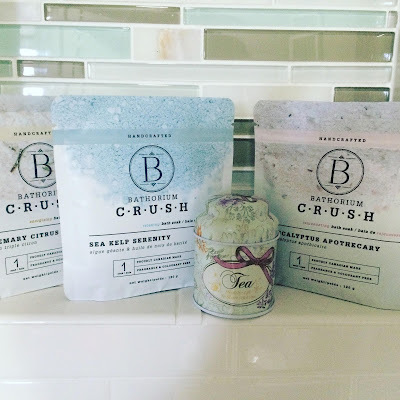 One of the coolest things about this company is that they are so sure that you will love their stuff, they are willing to give you your first bath soak for free! Yes, you read that right! Your first bath soak is completely on them, all you have to do is pay $5 to ship it to yourself, that's it. 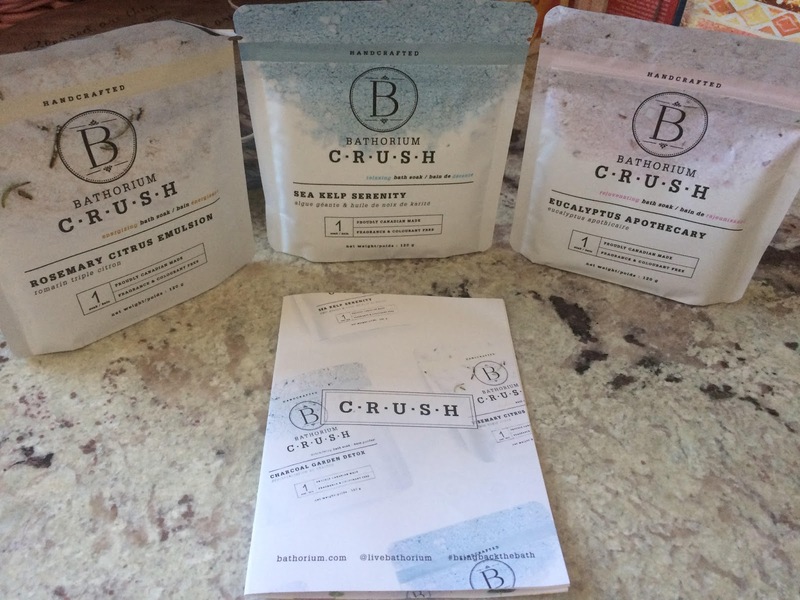 You can chose your first free bath soak here: C.R.U.S.H Free Sample. They are also currently offering 10% OFF all orders site wide, so if you are interested in trying them out, now is definitely the right time. 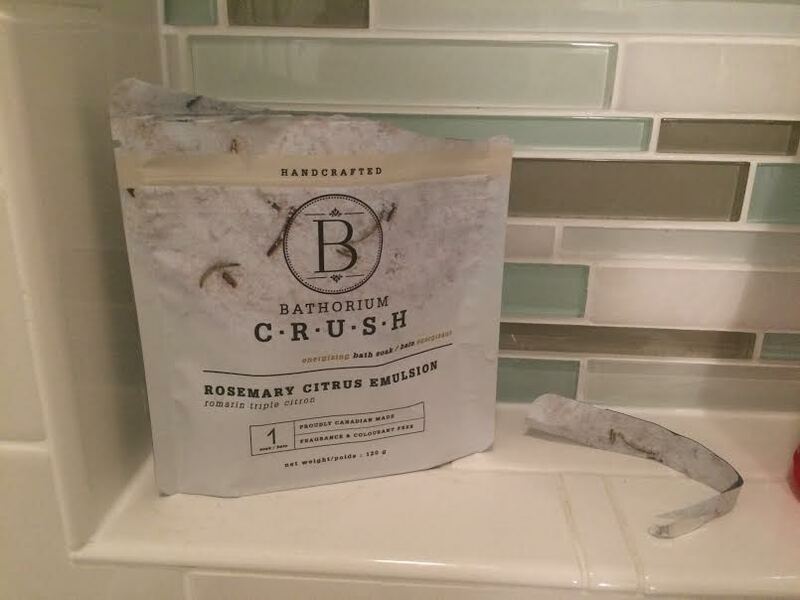 I asked Bathorium to send me a product to review. Their customer service team is fast and friendly and they replied back that they would be happy to send me something to review. 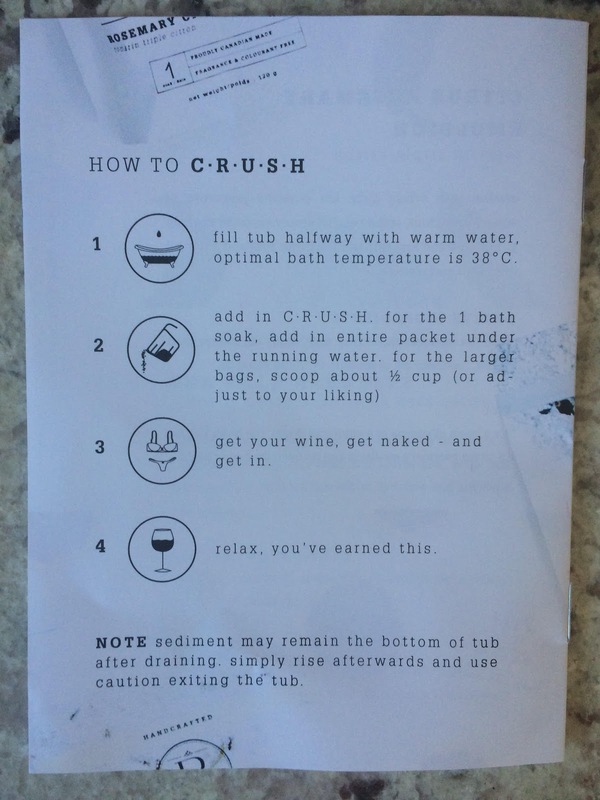 C.R.U.S.H is a new twist on the classic bath bomb. 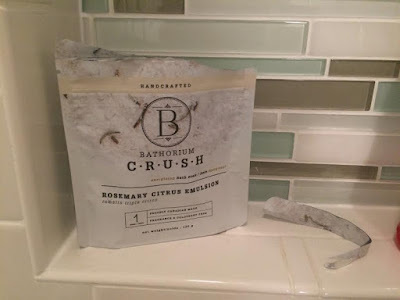 The C.R.U.S.H bath soak is a luxurious, creamy, foaming bath soak that is all natural, organic, and fair trade. The amazing fragrance comes from all natural ingredients including essential oils. There are no synthetic fragrances or additives. 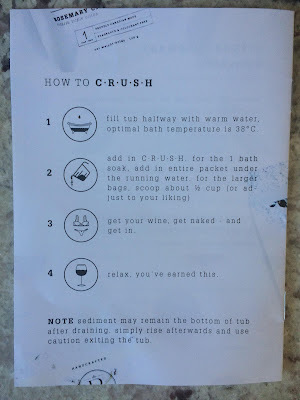 I received the four different types of C.R.U.S.H bath soaks, along with a helpful pamphlet telling me about each soak, how to use them along, and a list of their active ingredients. The pamphlet also told me how to put any one of the soaks into my bath. Sea Kelp Serenity - Per the pamphlet: "Active ingredients of dead sea mineral salt, grape seed oil, shea butter, sea kelp, lavender oil, bergamot oil, and aloe leaf juice. Use for a well rested sleep or before bed as bergamot and lavender increase your slow-wave sleep, a natural sleep aid." Rosemary Citrus Emulsion - Per the pamphlet: "Active ingredients of dead sea mineral salt, coconut milk, argan oil, mango seed butter, rosemary oil, grapefruit oil, and ylang ylang oil. Use for a burst of energy or a calm cool down, the fresh tingles of citrus emulsion can be used for day or night." Eucalyptus Apothecary - Per the pamphlet: "Active ingredients of epsom salt, Moroccan lava clay, jojoba oil, aloe butter, tea tree oil, peppermint oil, eucalyptus oil. Also perfect for foot soaks and post massage treatments." 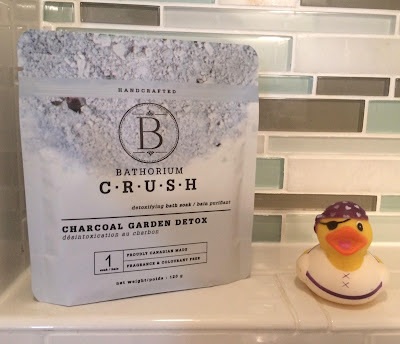 Charcoal Garden Detox - Per the pamphlet: "Active ingredients of epsom salt, coconut milk, coconut oil, basil oil, lavender oil, activated bamboo charcoal, cocoa seed butter. For a total detoxifying bath experience, soak for 30 minutes followed by a cold rinse shower. repeat weekly. Each bath soak smelled so heavenly, I just kept sniffing the packages. Seriously, my husband had to take them away from me. Here is what each one looked like. The rubber duckies approved. Alright, now let's get to the fun part, the part where I got to soak in one of these awesome packages. I chose the Rosemary Citrus Emulsion to soak in. The bath water felt super creamy and soft, and after soaking in the water with it for half an hour, my skin felt super soft and moisturized, and it didn't have that dry feeling I usually get when I soak in hot water. 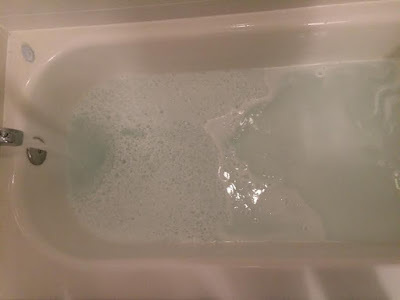 The smell of the soak is absolutely heavenly, it smelled like a florist shop with hundreds of flowers, but even stronger, and a huge added benefit is that your bathroom and even your bedroom will smell like flowers too after you use this soak. The enjoyable scent does wonders to relax your mind and body. I felt so much better mentally and physically after soaking in the tub with my Bathorium C.R.U.S.H bath soak. I hope you enjoyed this review of Bathorium. As I mentioned above, if you are interested in trying this company out, you can get a C.R.U.S.H Free Sample in any of the four scents they offer. They are also offering 10% OFF all orders site wide right now. This company also offers very nice bath bombs, as well as gift sets, which are actually on sale right now, and these products would make some seriously awesome gifts for just about any occasion - Valentine's Day, Mother's Day, birthdays, baby showers, anniversaries, hostess gifts, stocking stuffers, and more. If you are a blogger, this is a really great company to be an affiliate of. You can join their affiliate program through ShareASale.com. If you are unfamiliar with ShareASale.com, please see my post, 5 Ways ShareASale Changed My Life. And if you enjoyed this post, you may also enjoy some of my other product reviews, which you can view under my Product Reviews page which you can find at the top of my site. You can see some of my favorite brands that I work with by clicking on my My Brands page, also found at the top.